Fabrication jobs can benefit from the automated batching and optimization of assemblies for beam cutting. StruCIM's Job Automator helps speed through large batches of DSTV files and creates tightly nested beams that will result in less scrap and more production time spent producing perfect parts. 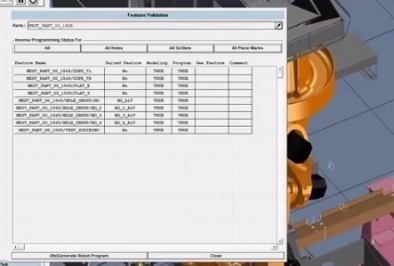 A complete folder of DSTV parts are loaded then organized from the assembly information into a table of part specs. Complete cutting paths are computed, the optimal grouping of parts are computed and the paths for the robot plasma cutting system are automatically created.